Japanese markets bounced back partially on Tuesday afternoon after the previous day’s heavy losses as concerns over the global economy weighed on investor sentiment. Following its Monday tumble, the Nikkei 225 rose 2.13 percent in afternoon trade, with shares of robot maker and index heavyweight Fanuc gaining 1.44 percent. The Topix index also added 2.48 percent. Nintendo saw its stock surge around 5 percent following a Monday report by the Wall Street Journal that it is set to launch new models of its Switch video game console later this year. MSCI’s broadest index of Asia-Pacific shares outside Japan was 0.22 percent higher at 523.27 as of 12:35 p.m. HK/SIN. 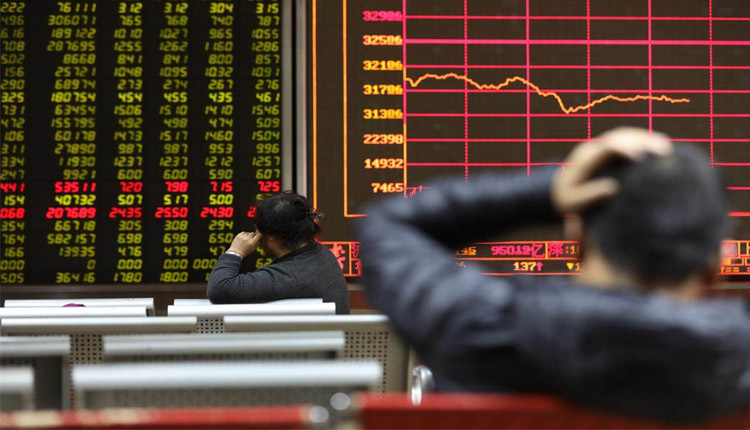 Mainland Chinese shares were lower by the afternoon, with the Shanghai composite slipping 0.99 percent and the Shenzhen component declining 0.83 percent. The Shenzhen composite fell 1.032 percent. In Hong Kong, the Hang Seng index rose 0.14 percent. Over in South Korea, the Kospi was 0.34 percent higher. Shares of Samsung Electronics slipped more than 0.6 percent after the company issued a warning on its first-quarter earnings. Meanwhile, shares in Australia rose as the ASX 200 gained 0.15 percent. Stocks of Australian conglomerate Wesfarmers dropped more than 3.7 percent after the company announced a bid for embattled rare earths miner Lynas, whose own stock was placed on a trading halt on Tuesday. It comes as Lynas’s shares have dragged along near 18-month lows as it faces hurdles over environmental license in Malaysia where its chemicals plant is located, according to Reuters. Overnight on Wall Street, stocks had a tepid finish as concerns over the global economy lingered. The Dow Jones Industrial Average added 14.51 points to 25,516.83, while the S&P 500 slipped 0.1 percent to 2,798.36, its first close below 2,800 since March 12. The Nasdaq Composite also pulled back 0.1 percent to 7,637.54. The U.S. dollar index, which tracks the greenback against a basket of its peers, was at 96.523 after slipping from highs above 96.6 yesterday. The Japanese yen changed hands at 110.08 against the dollar after seeing highs below 109.9 in the previous session, while the Australian dollar traded at $0.7126 after rising from lows below $0.708 yesterday. Oil prices gained in the afternoon of Asian trading hours, with the international benchmark Brent crude futures contract adding 0.21 percent to $67.35 per barrel and U.S. crude futures rising 0.80 percent to $59.29 per barrel.